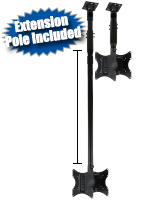 This Monitor Stand Features 360 Degrees of Rotation and Mounts Your 10" to 37" Flat Screen Plasma TV to the Ceiling! 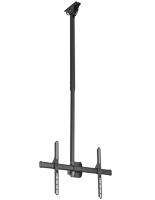 This Cheap Monitor Stand with Bracket Compatible wtih 15" Plasma TVs is Ideal for Use in Large Rooms! Buy Television Stands Today! 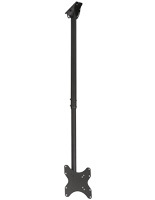 This monitor stand is great for trade shows and other large-scale events. The monitor stand works well as an addition to fitness club, retail store, or even bars and restaurants. 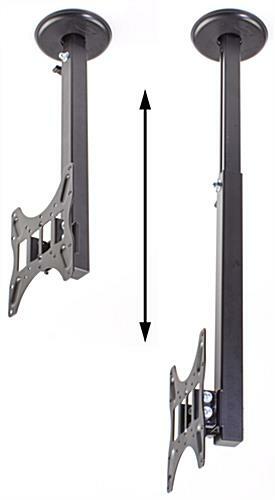 A monitor stand, also known as a TV mount bracket, saves both wall and floor space by hanging a flat panel TV from the ceiling. This monitor stand is crafted from heavy duty metal to last for years. The monitor stand is VESA compatible up to 200x200 and will accommodate TVs ranging in size from 10" to 42", weighing no more than 77 lbs. Whether for commercial or residential use, this monitor stand is an excellent way to showcase your flat panel plasma or LCD TV. 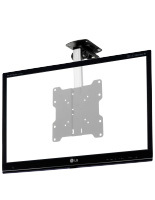 This cheap monitor stand with bracket compatible with 15" plasma TVs has many great features. 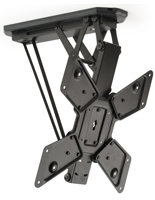 The monitor stand boasts an adjustable arm, so you can situate the center of your television anywhere between 18-1/8" and 31-1/2" from the ceiling. The monitor stand also features a full-swivel design, so your flat screen TV can rotate 360°. 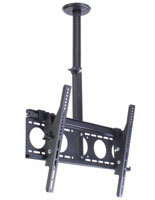 A tilt mount bracket tilts the television up to 15° downwards, for optimum viewing. 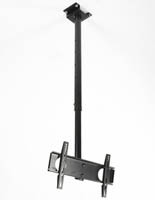 This monitor stand is sold with all required hardware for mounting to a ceiling, and for the attachment of your flat panel screen (although some TVs may necessitate other screws that can be purchased at your favorite local hardware store). If you have any questions regarding installation of this mount on your specific wall type, please consult a professional.